OPEN WEEKENDS UNTIL MEMORIAL DAY! The iconic Squigley's® building was constructed in the 1930's as a private home with a detached Model-A Ford garage. The building went on to become a beach boarding house for tourists, and eventually a house for soldiers on leave during WWII. In the 1980's, the building became a doughnut shop. After, the property was purchased in 1994 by Ann & Joe Coen and completely renovated into the pink & white ice cream parlor as it is known today. The popular parlor has successfully survived numerous hurricanes and dozens of competitors. In 2007, the owners converted the upstairs apartment and garage into one-of-a-kind gift shops. 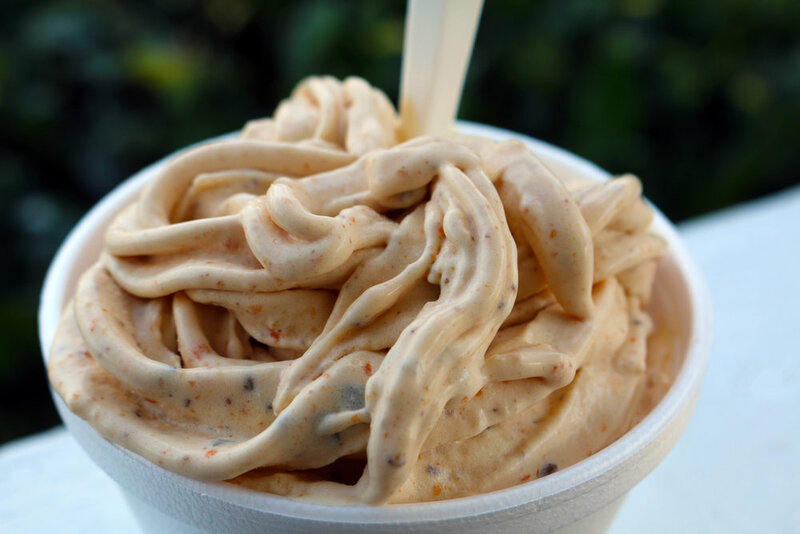 The Squigley® is our trademark treat that has made us the most famous ice cream parlor in Southeastern NC, and the #1 rated ice cream parlor on Pleasure Island. How it's made: The Squigley® starts with a base of real vanilla ice cream made from cow cream; powdered, industrial soft serve not served here! 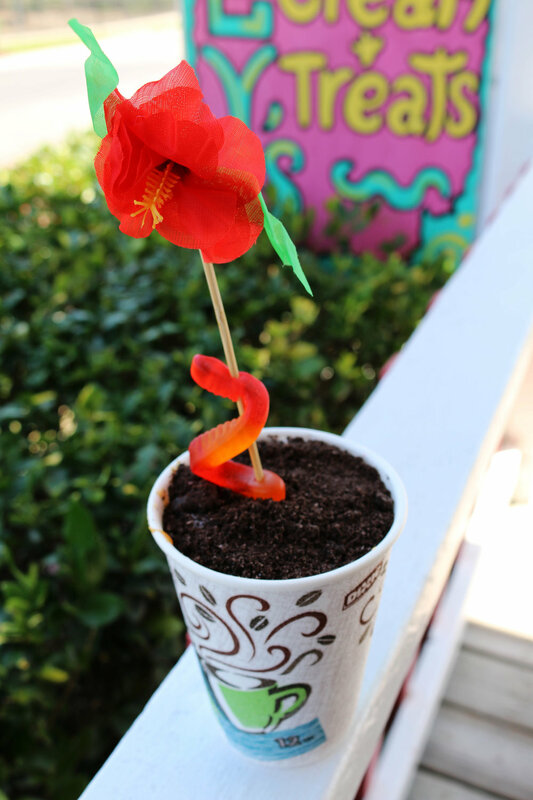 A Squigley®, we suggest, has up to 2 items, but no more than 3, items from a long list of delicious fruits, candies, and baked goods to be "Squiggled" into a custom flavor of ice cream using our patented Squigley® machines. 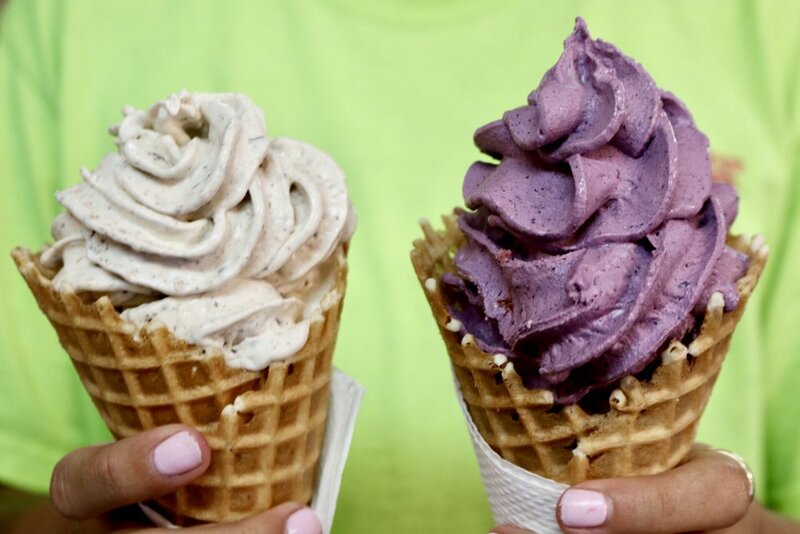 Squigley's® are served in either a fresh, homemade waffle cone or a cup & topped off with a famous "you've been Squiggled" sticker! 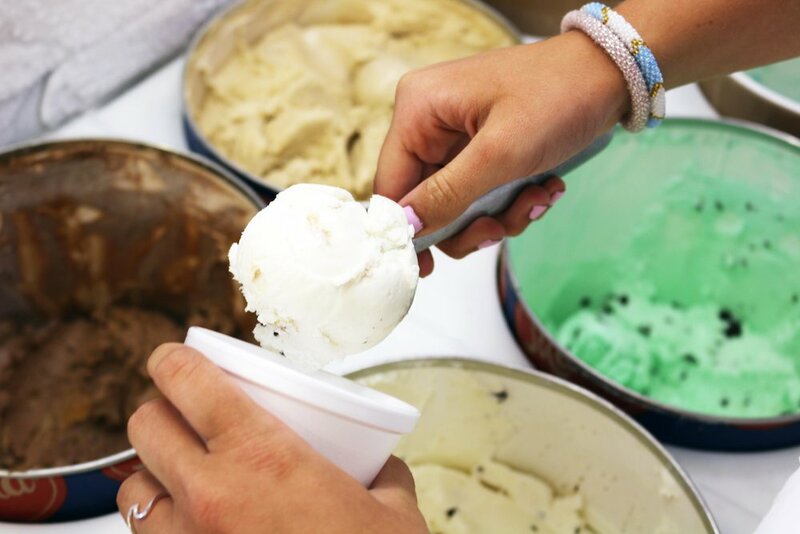 We can make over 4050+ different flavor combinations of the Squigley®. 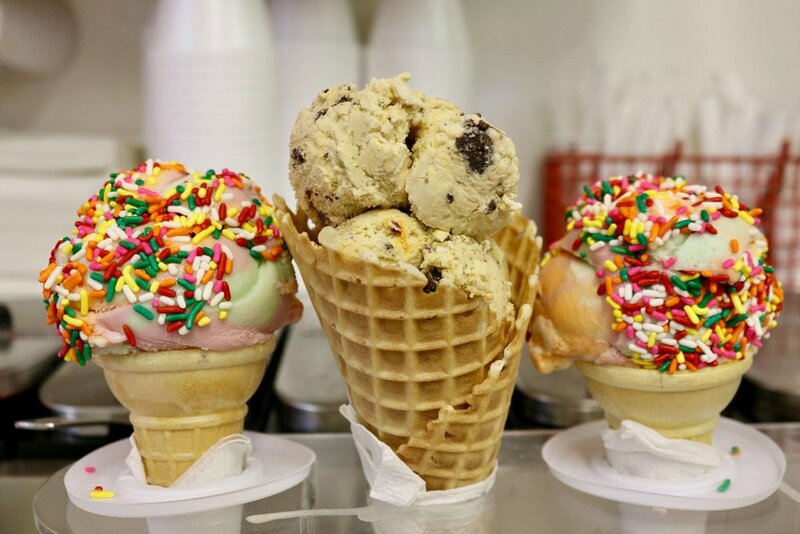 Your choice of any 4 flavors of ice cream. The Gift Gallery is located above Squigley’s® Ice Cream parlor. Come explore four rooms filled with unique gifts, décor, art, and handmade crafts. Gift item prices range from very affordable to high-end. Our selection also includes fashion, sterling silver, and gold jewelry, historic collectables, stained glass, children’s toys and adult clothes, Squigley's® T-shirts for all sizes, magnets, kitchen/den/bed & living room décor-nautical and not. There are treasures from every corner of the world in our Gallery. We guarantee our assortment differs from every shop on the Island and our values exceed Wilmington and Wrightsville Beach! Aside from our goodies, you'll find the largest public framed collection of historic post cards from Kure Beach, Carolina Beach, Wilmington, Wrightsville Beach, Fort Bragg, and Southport on display. These rare postcards date back to over 100 years. Come browse our collection in the Gift Gallery and Squigley's® ice cream parlor.